We are a world-wide congregation united by the desire to love and know God better so we each may live as the individual He created us to be. We study both The Bible and the writings of Mary Baker Eddy, striving to put the Word of God into practice. We warmly welcome you to our website! Though the way is dark in mortal sense, divine Life and Love illumine it, destroy the unrest of mortal thought, the fear of death, and the supposed reality of error. He asked me to promise him two things; one was — do not grieve, because there is no separation — and the other — do not be offended by anyone, for they do not know you as you really are; if they did they would love you. Individual man, being God’s or Mind’s idea of Himself, is as complete, as active, and as employed as is God, his Mind. Let us then individually think, and act, as if we were what we are. The all-encompassing love of God is present everywhere. Every week, we post one of Gilbert Carpenter's 500 Watching Points to work with daily. These are inspired and practical! Examples of the power of prayer from around the world. Our church strives to offer all we do free to the world, but this work comes at a cost: Website hosting, printing supplies, building maintenance, and other monthly fees are the price of this missionary work, which every single month is reaching thousands of receptive hearts in 180 countries. For those who understand the vital importance of this church's place in the Cause of Christian Science — and see the undeniable fruits of its labor — we ask for you to contribute as divine Love directs. Click here to donate, and help us to continue bringing the healing truth of Mary Baker Eddy's revelation to the whole of mankind! 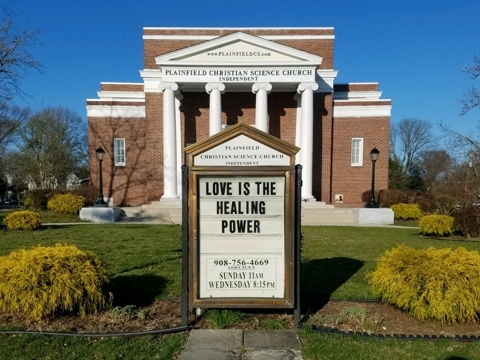 Featuring Audio and Video of the Services, Roundtables, Bible Studies, Testimonies, Hymns, Songs, and readings of the works of Mary Baker Eddy, Edward Kimball, Martha Wilcox, and more! Click here for the: Readings and Testimonies or the entire meeting. Each member shall do his part to ensure the continuing success of authentic Christian Science as a worldwide activity. Christian Science shows us how to master the material beliefs which are attempting to destroy our right to spiritual joy, freedom, and harmony. Doubt and fear can no more touch us, than passing storm clouds can cause the sun to stop shining. Let those who have named the name of Christ not cling to the standards of mortals, but rather, let them go by, while laying hold of real things with a firmer grasp. To attend online or by phone, click here. Learn about our watches here. Listening to the Daily Watch – Thank you! Thank you for the new feature on the Daily Watching Point! I scrolled down after reading the text for this week, and saw something wonderfully new. I could listen to the Watching Point! Thank you for all the inspirational resources on your beautiful website. I have gifted friends with 500 Watching Points for Advancing Students of Christian Science (available at your on-line bookstore). They have been so grateful for the wisdom shared by the Carpenters, as am I. A complex idea is beautifully translated into a concept more easily understand by the colorful metaphors expressed in the Watching Points. Thank you so much for the very beautiful and awe-inspiring musical rendering of The Touch of the Master’s Hand, on Sunday, April 7, 2019. It brought me to joyful tears! What a wonderful Roundtable on April 7, 2019. A practitioner reminded us to take time to talk with God. Shut everything out of our thought and commune with God. I did this this morning, and answers came on many things that I hadn’t prayed about but needed answers on. It was very helpful. Years ago a practitioner said we should take 5 minutes every hour and just pray. If you are at work you can pick up the phone and no one will interrupt you. Simple common sense. I am so grateful for the teaching in the Plainfield Church. This is to let you know that, I have visited your web page, which captured me! We are young local autonomous Church. We are 76 Church members and 16 orphans who we are caring for. 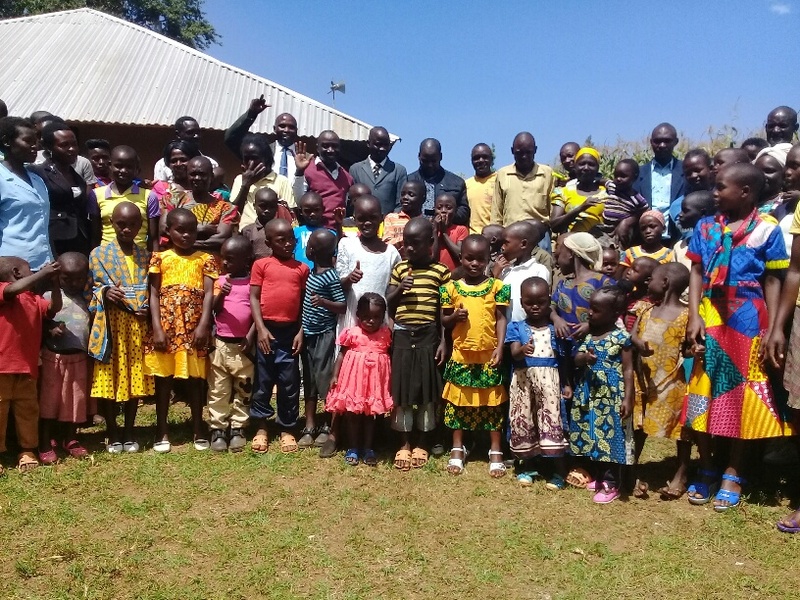 These orphans are placed in the families of our Church members. We felt that God called us to serve Him in His call!! We officially request you in humble prayer request please to allow us to partner with you in your ministry. Thank you God bless you. Your response will be of many blessings to us. Click here to see the rest of the pictures.